Most information was sourced from Wikipedia, all other information and sources with links, can be found at the end or within the articles below. Irish Astrology, also referred to as Celtic Tree Astrology, is the astrological system practiced by the ancient Irish. It is based on a Druid symbol system and not on any of the traditional systems such as Western, Chinese or Vedic astrologies. 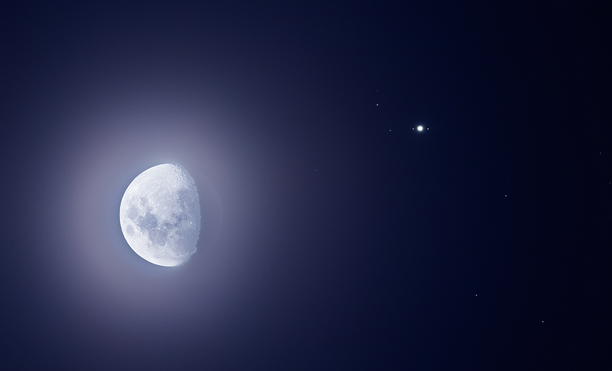 The Celtic Zodiac is drawn from the beliefs of the Druids and is based on the cycles of the moon. The year is divided into 13 lunar months, with a tree (sacred to the druids) assigned to each month. Each tree has particular magical qualities whose secret mysteries come from the ancient shamanic alphabet, the Ogram. The origin of this Tree Alphabet is ascribed to the God of Poetry and Eloquence of Celtic Ireland, Ogam. He is also known as the Celtic Herkules. The Druids were Celtic priests who inhabited much of Western Europe, Brtain and Ireland until they were supplanted by the Roman government and, later, by the arrival of Christianity. Some renowned Celtic scholars also noticed, thanks to their vast understanding, that Celtic astronomy paralleled the Vedics. They discovered that the ancient Celtic astrologers used similar systems as those of the Vedic astrologers. who wait for the right maiden to allot them rebirth. Celtic Tree Astrology is the astrological system practiced by the ancient Irish. It is based on an ancient Celtic symbol system. The Celtic Zodiac is drawn from the beliefs of the Druids and is based on the cycles of the moon. The year is divided into 13 lunar months, with a tree (sacred to the druids) assigned to each month. Each tree has particular magical qualities whose secret mysteries come from the ancient Celtic alphabet, the Ogram. The Celts envisioned the entire Universe in the form of a tree, whose roots grew deep below (in the ground) and whose branches reached up high (into the Heavens). In time, the Celtic people eventually designated a tree to each of the 13 Moon Phase’s in their calendar, in accordance with its magical properties. As such the Celtic Zodiac is based upon the cycles of the Moon, with the year divided into the 13 lunar months established by the Druid religion. The Druid religion was based mainly upon an awareness of natural and supernatural energies. These energies were identified with spirits and the Celtic Druids believed that trees were given these spirits, who dwelt within, and were perceived as attributes of the Supreme Being. Thus, trees were considered living entities, possessed with Infinite Knowledge and Wisdom…symbolically representative of the Cycle of Life, Death and Renewal, and symbolically connected with the three planes of existence: mind, body, and spirit. To Christians, it illustrated the essential core of Christian belief where God was the Father, the Son, and the Holy Spirit. 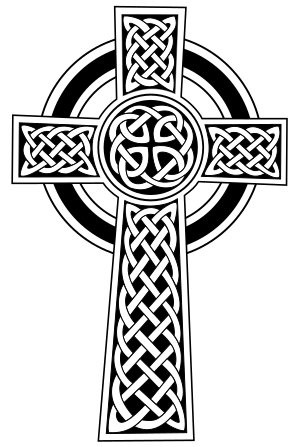 For both beliefs, the Trinity Knot symbolized the way in which the three separate essences were vitally interconnected. The Celts have a long tradition of astrological learning stretching back to a time long before Christianity and the incoming of Greek and Latin learning. For too long now this extensive and rich tradition of Celtic Astrology has been sadly neglected. The Druid religion was based mainly upon an awareness of natural and supernatural energies. These energies were identified with spirits and the Celtic Druids believed that trees were given these spirits, who dwelt within, and were perceived as attributes of the Supreme Being. Thus, trees were considered living entities, possessed with Infinite Knowledge and Wisdom…symbolically representative of the Cycle of Life, Death and Renewal, and symbolically connected with the three planes of existence: mind, body, and spirit. To Christians, it illustrated the essential core of Christian belief where God was the Father, the Son, and the Holy Spirit. For both beliefs, the Trinity Knot symbolized the way in which the three separate essences were vitally interconnected. via > What’s Your Sign? Celtic tree astrology is based on the ancient idea that the time of our births is pivotal to the formation of our personality and behavior. The spiritually savvy Celts, particularly the druids were expert observers. Over time, they recognized that a child born within a certain season would develop certain qualities. Further, the druids observed patterns in the color and shape of a person’s life according to the motions of the moon (their calendar being based on a lunar year) and the season in which we are born. The system of Celtic tree astrology was developed out of a natural connection with the druid’s knowledge of earth cycles and their reverence for the sacred knowledge held by trees. The druids had a profound connection with trees and believed they were vessels of infinite wisdom. Carrying this concept a step forward, we can associate the likeness and personality of trees to our own human nature. By doing so, we gather inspired insight and clarity into who we are. Celtic tree astrology recognizes Rowan signs as the philosophical minds within the zodiac. If you were born under the Rowan energy, you are likely a keen-minded visionary, with high ideals. Your thoughts are original and creative, so much so, that other’s often misunderstand from where you are coming. This sometimes makes you aloof when interacting with others as you feel they wouldn’t understand where you are coming from anyway. Nevertheless, although you may appear to have a cool exterior, you are burning within from your passionate ideals. This inner passion provides inner motivation for you as you make your way through life. You have a natural ability to transform situations and people around you by your mere presence. You arehighly influential in a quiet way and others look to you for your unique perspectives. Rowan pairs well with Ivy and Hawthorn signs. If you are a Willow sign, you are ruled by the moon, and so your personality holds hands with many of the mystical aspects of the lunar realm. This means you are highly creative, intuitive (highly psychic people are born under the sign of the Willow) and intelligent. You have a keen understanding of cycles, and you inherently know that every situation has a season. This gives you a realistic perspective of things, and also causes you to be morepatient than most tree signs. With your intelligence comes a natural ability to retain knowledge and you often impress your company with the ability to expound on subjects from memory. Willow Celtic tree astrology signs are bursting with potential, but have a tendency to hold themselves back for fear of appearing flamboyant or overindulgent. It is your powers of perception that ultimately allow your true nature to shine, and what leads you to success in life. Willow signs join well with the Birch and the Ivy. Hawthorn signs in Celtic tree astrology are not at all what they appear to be. Outwardly, they appear to be a certain persona, while on the inside Hawthorn’s are quite different. They put the term “never judge a book by its cover” to the test. They live seemingly average lives while on the inside they carry fiery passions and inexhaustiblecreative flame. They are well adjusted and can adapt to most life situations well – making themselves content and comforting others at the same time. You are naturally curious, and have an interest in a broad range of topics. You are an excellent listener, and people seek you out as an outlet to release their burdens. You have a healthy sense of humor, and have a clear understanding of irony. You tend to see the big picture, and have amazing insight – although you typically won’t give yourself enough credit for your observations. Hawthorn signs match up nicely with Ash and Rowan’s. Among other cherished qualities of the Ivy Celtic tree astrology sign, most prized is your ability to overcome all odds. You have a sharp intellect, but more obvious is your compassion and loyalty to others. You have a giving nature, and are always there to lend a helping hand. You are born at a time of the waning sun so life can be difficult for you at times. This sometimes seems unfair because it appears that obstacles are coming at with no prompting on your part. Nevertheless, you endure troubling times with silent perseverance and soulful grace. Indeed, Ivy signs have a tendency to be deeply spiritual and cling to a deep-rooted faith that typically sees them trough adversity. You are soft spoken, but have a keen wit about you. You are charming, charismatic, and can effectively hold your own in most social settings. Ivy signs are attracted to the Celtic tree astrology sign of Oak and Ash signs. 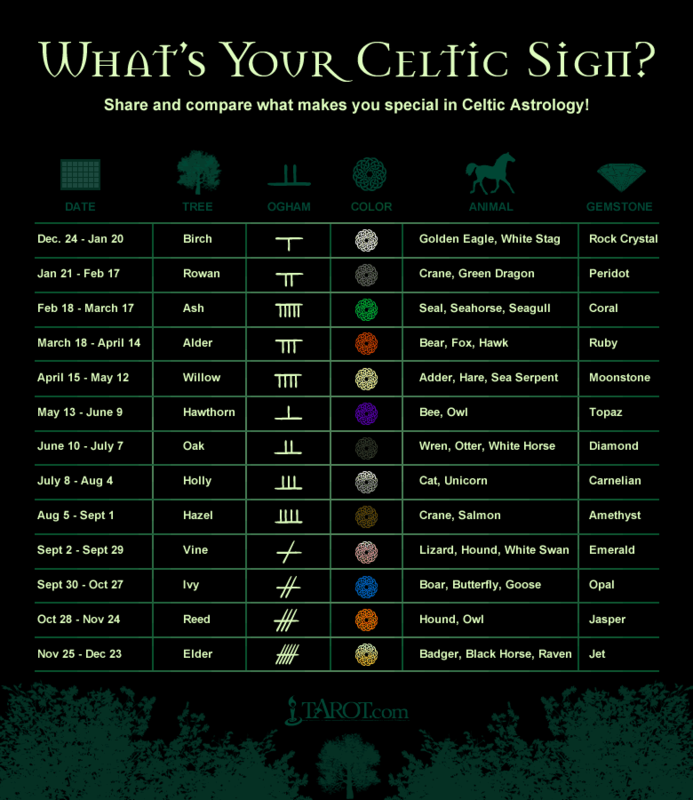 Reed signs among the Celtic tree astrology signs are the secret keepers. You dig deep inside to the real meaning of things and discover the truth hidden beneath layers of distraction. When there is a need to get to the heart of the matter, most certainly the Reed sign will find the core. You love a good story, and can be easily drawn in by gossip, scandals, legend and lore. These tendencies also make you an excellent historian, journalist, detective or archaeologist. You love people because they represent a diversity of meanings for you to interpret. You are adept at coaxing people to talking to you, and sometimes you can be a bit manipulative. However, you have a strong sense of truth and honor so most of your scheming is harmless. Reed people join well with other Reeds, Ash or Oak signs. Free Celtic Astrology Reading And Druid Horoscope Calculator. The Celtic Astrology Tree is also known as the Druid Astrology. This zodiac is based on a lunar calendar that comprises of 13 months and each month is characterized by a mystical tree. The Celts assigned each month to a tree and individuals born in that month were characterized by that particular tree. Each tree is also associated with the Ogham, the ancient Celtic alphabet. An ancient mystical runic alphabet ‘Ogham’ led to the development of the Celtic astrology. Unlike the Western or the Egyptian astrology the Celtic astrology, also known as the Druid Sign, comprises of 13 zodiac signs. The Druids were known to have been the inhabitants of the British Isles around 1000B.C. who followed a lunar calendar consisting of 13 months. The Celts visualized the universe in the form of a tree and for that reason they designated a particular tree, based on its magical properties, to each of the Moon phases in their lunar calendar. Each Celtic Zodiac corresponds to a particular tree and it is believed that an individual’s personality is marked by the different influences of the tree of the sign. 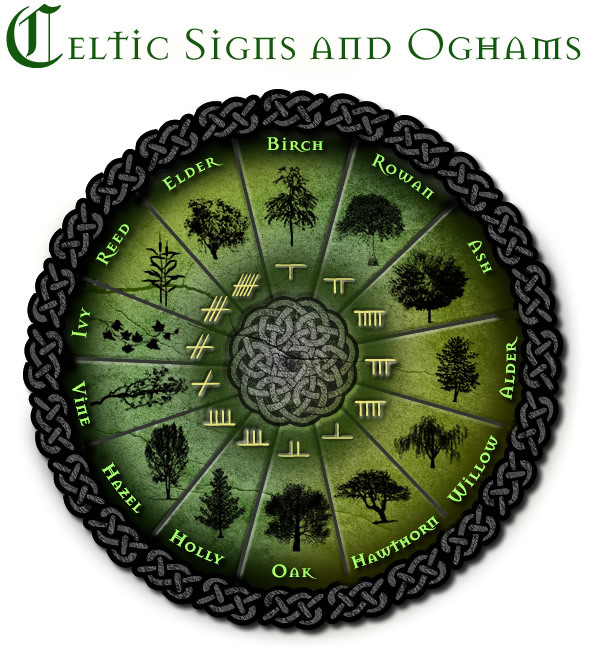 The thirteen astrology signs of Celtic Astrology are as follows: The Birch, The Rowan, The Ash, The Alder, The Willow, The Hawthorn, The Oak, The Holly, The Hazel, The Vine, The Ivy, The Reed and The Elder. Today, we can learn about this power and utilize it by learning the language of Celtic symbols. The written records remaining from the Celts of Europe are scant, therefore signs and symbols can be hard to determine and trace. Many facts come by way of the Romans, who conquered the Celtic lands during the rise of the Roman Empire. This is very interesting and informative. I have a lot to catch up on regarding ancient Irish history. Frankly, I love the Irish accent! 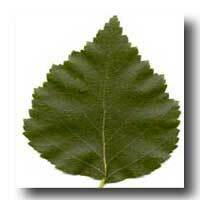 I also love my tree, Hazel. Thank you for such a well researched piece. This is very interesting, You’re a very skilled blogger. I’ve joined your rss feed and look forward to seeking more of your great post. topic to be really something which I think I’d never understand. stuff from. Thank you for posting when you’ve got the opportunity, Guess I will book mark this page. Thanks for stopping by Susan and for the compliment of course! 🙂 You’ve an interesting blog as well, also unique in your style of photography! 🙂 All the best. Very soon this site will be famous amid all blogging and site-building people, due to it’s good articles and reviews. I always spent a half an hour to read this weblog’s articles or reviews, daily along with a cup of coffee. This is wonderful! I have a rich Irish ancestry from all over the island (both northern and the Republic), and am intrigued by all things Celtic. I loved reading about the Hazel sign, which is absolutely descriptive of me. No problems Kyle, and thanks… As for the Cara Delevingne Article well I’m a feminist at heart and came across the information quite by accident. Cheers. Great site and great PR re: my books on Celtic Astrology first published in 1992 – 2004 and currently writing a new book on dragon & tree magic. Does not, however, include any acknowledgements to my work or other notable authors on Ogham. Thanks for your message, Helena.. You’re welcome of course. 🙂 Including your messages at my Irish Astrology Article. With this page, all the information is for the first part from Wikipedia, which I mention and rest of the information is from other sources which I mention within the ‘excerpts’ etc and provide links etc. Thanks for dropping by though, I checked at What’s Your Sign and they have updated their information to be more ‘in depth’.. so I may update their info here as well.. I just used their pix for both the Irish Astrology Page and this one, I like their style. All the best Helena.